Bake & Chocolate Festival takes place in October 11th - 14th 2018, at Stockholmsmässan in Älvsjö. Bake & Chocolate Festival - Scandinavia's largest meeting place for those who love chocolate and baking. 2002, the chocolate enthusiasts Magnus Johansson and Tony Olsson, started the first Chocolate Festival in Sweden. 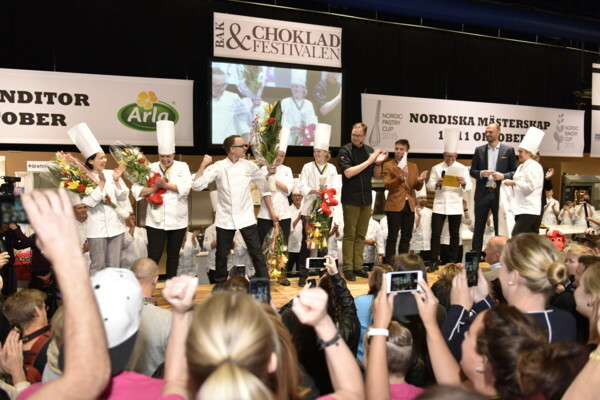 It was after Magnus Johansson visited the chocolate festival in Paris in 1994 that he and Tony Olsson few years later decided to make a similar festival in Stockholm. Bake & Chocolate Festival is organized by Pastry Chef Masters Magnus Johansson and Tony Olsson together with Stockholmsmässan.